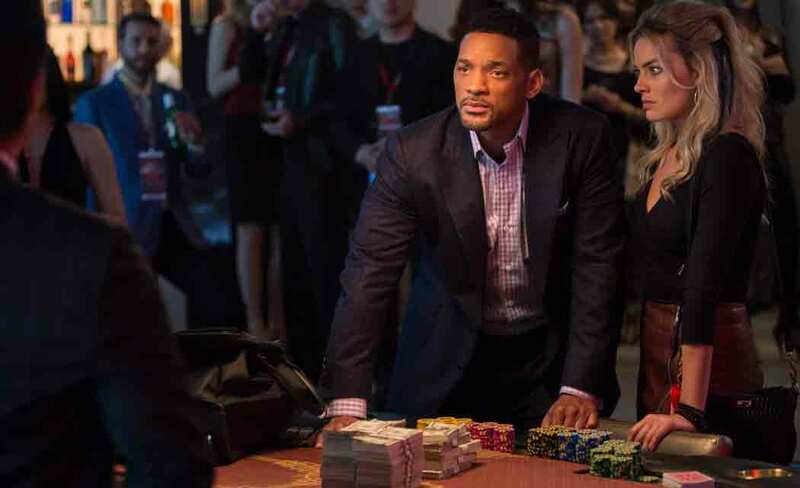 LOS ANGELES — Things started to come into focus for Will Smith when After Earth bombed. Once the biggest movie star in the world, his $130 million sci-fi spectacle After Earth opened in June 2013 to a lousy $27.5 million and would only go on to make up less than half of its production budget domestically by the end of its run. For a man who once defined himself by his box office star power, the blow was crushing. “And I set out for conquer,” he said. “Smash! Conquer!” he exclaimed animatedly. For a while it worked. Smith has had four movies that have grossed over $200 million domestically, and 13 that have grossed over $100 million, most with him headlining. Then After Earth happened and everything toppled. “After the failure of After Earth, a thing got broken in my mind,” he had explained to a group of reporters at a press conference for his new film Focus a few minutes earlier. “It’s a huge emotional shift for me,” said Smith, who has since appeared in smaller roles in Anchorman 2: The Legend Continues and Winter’s Tale. winning and conquering to loving and connecting as a primary purpose for everything. She just absolutely demands attention to her thoughts and feelings. It’s a huge lesson for me to quiet the warrior in me,” he said. It’s fitting that Smith’s first outing in this new stage is actually called Focus (just released in theaters), a sleek, intimate film from Crazy, Stupid, Love directors Glenn Ficarra and John Requa about a smooth, seasoned con-man and his alluring and much younger protege, played by Australian actress Margot Robbie. Smith and Robbie are meeting in the middle, in film and in life. Smith, in a self-defined new phase, and Robbie right as she’s about to break out into the mainstream. “We couldn’t be more opposite,” said Smith of his co-star, seated next to her in the hotel. The two have a smoldering chemistry in the film and a playful, giggly way around each other off screen, often finishing each other’s sentences when they’re not making the other keel over in laughter. They bonded over endless hours of conversation, chess, eating and going out with the cast and crew in the various shooting locations. especially when it’s a comedy,” said Smith. Robbie and Smith aren’t done with each other yet, either. They’ll both appear in the comic book film “Suicide Squad” for Warner Bros., which is currently in pre-production.